Everything we do here at Eurostand is focussed on increasing the value that we offer to our resellers. We are proud to be one of the leading suppliers of products to the portable display sector and believe passionately that to continue to stay in this position, we must strive to innovate and lead. Our product development team comprises designers and experts who possess a deep understanding of how people interact with the displays that we create. They never stop thinking of new ideas that can help your customers deliver their message with even greater impact. It is as a direct result of this dedication to excellence that our products are recognised as being the highest quality available in the market today. No matter what type of requirement your customer has, we have a market leading display solution to perfectly suit. From innovative portable and modular display systems for the live events industry through to interactive and eye-catching stands and displays for showrooms, retail spaces and many other customer facing environments...we have it covered. However, the products we offer are only half of the story, what really sets us apart is our relentless drive to offer a level of customer service unmatched in our industry space. We are constantly developing new ways that we can add value to our service, and in turn, to your business. When you choose to partner with Eurostand you get access to the following resources all available free of charge and with your own branding included. Take a look through our website at some of our latest innovative modular display systems and look out for our stunning new range of sleek tablet displays. As you browse, keep in mind that all of our products come with the 'Eurostand 5 year guarantee' against component failure and manufacturing defects, giving you complete confidence that you will be supplying quality products backed by a solid guarantee. When you are ready, we would love to hear from you to discuss your requirements and supply further product and pricing information. Contact us today to find out for yourself why so many of our resellers have become long term partners. 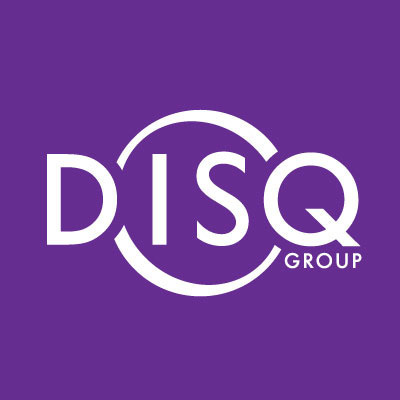 Under the DISQ banner, Alfa Displays, Eurostand Display, Eve Products and Promotor Industries have united to deliver an unrivalled portfolio of indoor and outdoor displays, promotional hardware and exhibition solutions through a common service-led approach to customer care. As the collaboration develops further, trade customers across Europe will benefit from unrivalled experience, first class technical support and access to the largest innovated product range in the industry, from a family of suppliers dedicated to delivering complete satisfaction.